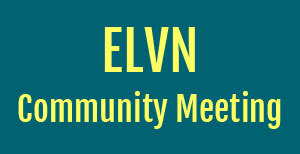 This entry was posted in ELVN News and tagged ELVN on July 29, 2016 by elvn_updates. In support of our commitment to fan safety and emergency preparedness, the Chicago Cubs, in partnership with the Chicago Police Department (CPD), will hold an emergency response exercise at Wrigley Field from 7 a.m. to 2 p.m. CDT Thursday, July 14. The exercise will involve CPD, Wrigley Field personnel, the Office of Emergency Management and Communications, the Chicago Fire Department and Emergency Medical Services. Please note simulated ammunition and flashbangs will be used during the mock incident. To accommodate the exercise, Waveland Avenue from Clifton to Kenmore avenues will be closed to vehicular and pedestrian traffic from 7 a.m. to 2 p.m. CDT. We appreciate your patience and support as we work to keep the confines friendly. If you have any questions, please contact us at neighbors@cubs.com. This entry was posted in Community News and tagged Chicago Cubs, City of Chicago, Wrigley Field on July 12, 2016 by elvn_updates.